If you are the type of person that has a hard time choosing between eating the cookie dough or waiting until they are baked, Shelly may have forever changed your life. Why not have it both ways with a cookie dough filled cookie cup. I mean, you still have to patiently wait until the cookie cups are baked, but these yummy treats look like they are worth the wait. Who am I kidding! That cookie dough filling will be half eaten before they are done. 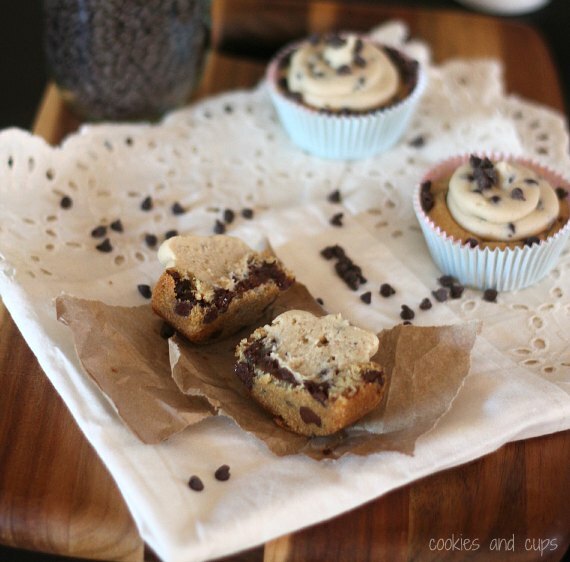 You can get the recipe for theses cookie dough filled cookie cups over at Cookies and Cups.